It's essential to find a nanny who uses similar discipline strategies to address your child's behavior problems. But, sometimes, finding a nanny who has the same approach to discipline can be a little tricky. 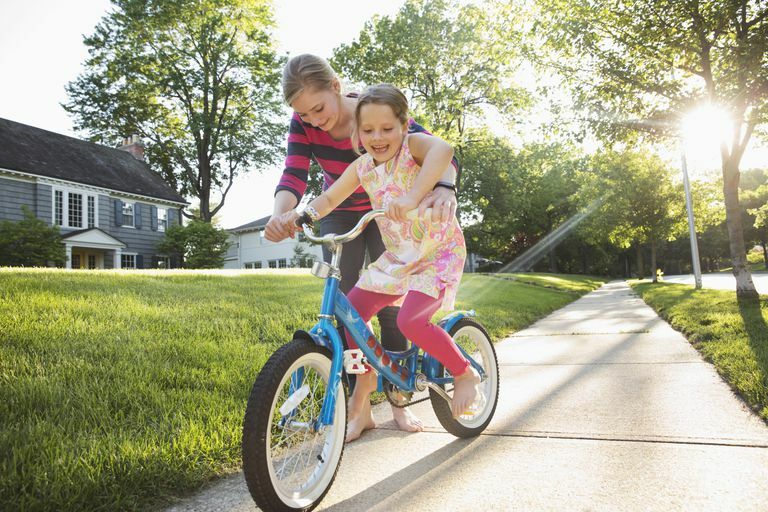 Ingrid Kellaghan, the founder of Cambridge Nanny Group in Chicago, shares how parents can work together with a nanny to address discipline issues. Kellaghan is a leading expert in child advocacy issues, child development, age-appropriate activities and play, appropriate discipline techniques, and positive communication between parents and parents and caregivers. How important is it for parents and a nanny to share the same basic beliefs about children’s behavior and discipline practices? Shared core values are the cornerstone of all successful relationships. It's a greater indicator of long-term success than the nanny's skill, experience, and job competencies. It's the glue that holds everything together. When disagreements repeatedly emerge it’s often the result of conflicting philosophies on how a child should be raised. At the end of the day, a nanny is a proxy parent. For the relationship to work well, philosophies and attitudes, including discipline must be in alignment. Shared beliefs are a critical issue that should not be overlooked. What questions should parents ask to learn more about a nanny’s approach to discipline? The key to discovering a nanny's approach to discipline is preparing well-constructed interview questions. It means going deeper. The applicant must tell you about specific experiences when she demonstrated her approach toward discipline. The goal is to uncover if her approach toward discipline aligns with your own. When done correctly, the candidate should not be clued into the response you are seeking. Tell me about a time you had to discipline a child. What happened and what corrective action did you take? Tell me about a time a child in your care had a temper tantrum. What happened and how did you handle it? Tell me about a time when a child did not follow your instructions. How did you handle it? Tell me about a time when you had a problem in the past following a parent’s directives regarding discipline? Why didn't you agree with it? Tell me about a time when a parent disagreed with your approach on disciplining their child. What happened and how was it addressed? Tell me about a time when you disagreed with a parent’s approach to discipline. Did you address it with the parent? What sorts of problems can arise when a nanny has different expectations about how a child should behave or about what discipline strategies should be used? Before you hire your nanny sit down and lay out clear discipline guidelines. Gauge his or her reaction. If your caregiver doesn't respect your rules, he or she won't necessarily enforce them. This can lead to conflict down the road, as well as confusion for the child. What should parents do if they believe the nanny is either too harsh or too soft with the children? You hired your nanny as a professional who clearly has talent when it comes to caring for kids, so be open to hearing about what she thinks is appropriate. For example, while you may have a laissez-faire approach to snacks before meals, she may think it's a horrible idea. Hear her out. Maybe you can try her approach or find a way to compromise between your two ways of thinking. Empowering your nanny will make your kids respect her more—and will make your household run more smoothly. On the other hand, if your nanny is too harsh (reactive, yelling, insulting or demeaning) or too soft (permissive, push-over, amiable) discuss it directly with the nanny. If the nanny does not demonstrate her willingness to make an immediate change it may be time to look for a new caregiver. Sometimes parents become concerned that the nanny may not always tell the whole story about a child’s behavior problems. How can parents make sure they are getting the full story about a child’s behavior and the discipline strategies the nanny is using? You’ve spent a lot of time carefully crafting a to-do lists or instructions for the nanny, but have you invested time creating an environment of professional intimacy and trust? The nanny should feel comfortable bringing all challenges, questions, and concerns to you. When you are curious rather than defensive and willing to listen to others at a deeper level, the nanny feels more comfortable opening up and sharing. It is this skill of communication that affords you, as her employer, the greatest opportunity to make a difference in your day-to-day interactions with your nanny. Regularly schedule time together to speak in person. It is your opportunity to listen, solve problems, influence, make decisions, and create an environment where employees feel heard and energized. You can’t do this via text or email. You can’t do this when you’re rushing out the door in the morning or walking in the door in the evening with children demanding your attention. As a nanny employer, it’s critical for you to be able to have open and honest conversations about the happenings of your child’s life – including any discipline issues. Bottom line—if a nanny doesn’t feel comfortable coming to you, she won’t. Create a work environment where her feedback is not only appreciated—but encouraged. How can parents work together with the nanny to address specific behavior problems? Sit down together and decide on how closely you'll work together on discipline. Some parents prefer to consult on the big issues like - hitting, aggression, or bullying, whereas other's like to be looped in on more benign transgressions. However it's approached, it’s critical for ground rules to be established and the nanny is given clear instructions on how things should be addressed and corrected. Define clear expectations which are reasonable for the age of the child. In general, when it comes to nannies, are there certain discipline practices that are likely to work better than others? Nannies should practice positive discipline techniques. Positive discipline is an overarching philosophy that helps a child develop a conscience by his own internal discipline and compassion for others. Traditional punishment teaches what is wrong, but does not always help a child learn what is right. The goal of discipline is to teach. It teaches self-control and socially acceptable behavior. You encourage good behavior by correcting poor behavior and praising good behavior. Discipline is an opportunity to model respect, patience, and good problem-solving.